The amount of anatomy teaching delivered by current Australian and New Zealand medical schools has become an area of considerable debate. There has been much criticism indicating that anatomy teaching has become a neglected area of medical education with a reduction in teaching hours compared to previous decades. Adequate anatomical knowledge is undoubtedly critical in almost all medical disciplines; from understanding clinical presentations, performing a competent physical examination, to arriving at an accurate diagnosis with the aid of imaging techniques and initiating appropriate treatment including surgical management. Historical data indicates that there has been a decline in the number of hours of anatomy teaching in medical schools. This prompted a recent survey of 19 Australian and New Zealand medical schools, which identified that the average total anatomy teaching was 171 hours with a large standard deviation of 116.7 hours, with some teaching as few as 56 hours in total and others 560 hours. This study has suggested that with the large discrepancy in numbers of anatomy teaching hours there will also be variability in the knowledge of medical graduates. Hence there have also been calls for a standardised national medical curriculum with an increase in teaching of the basic medical sciences, which has also become an area of recent debate. Some medical schools have adopted a self-directed or “problem-based” approach towards teaching, whereby the student’s themselves are responsible for identifying deficiencies in their knowledge in order to pass exams and ultimately, to use this to become competent clinicians. As a student I have found that it requires much more self-motivation to keep studying in this way especially in the latter years of my program when we have relatively fewer exams and more focus on clinical experiences, although it is something that one should become used to for continual professional development. There is also a general consensus amongst most students that teaching of biomedical sciences has been reduced and replaced with teaching of communication and interpersonal skills, which are difficult to teach and assess objectively and are also dependent on individual student personality and life experiences developed through “living, seeing and doing”. For some students, self-directed learning can also be a burden for study and it makes it difficult to identify how much to focus on a particular topic or how much to study. The scenario above highlights one case of a style of teaching employed- or rather “grilling” that we may receive during our clinical years of medical school, which can be beneficial in motivating some students to study to avoid embarrassment or showing-off how much they know to a consultant. However, it is the general lack of specific anatomical knowledge by some medical students reflected in these scenarios that has been identified by surgeons and radiologists which has become a recent area of criticism. The culprit for this has become some of the newer medical programs which have less formal teaching in anatomy compared to previous decades. At the end of the day, however, I believe that it is the responsibility of the students themselves to identify major gaps in their knowledge and address these. Some criticism has also arisen from a deficiency in assessment of anatomical knowledge during exams. It is true that with major study “cramming” sessions, anatomy tends to be left out by some students based on the assumption that the material is unlikely to be examined, or will not form a major part of integrated basic sciences in applied case-based exams. Additionally, as most universities do not have a specific exam for anatomy, there is no specified minimum level of achievement for gross anatomy and as such, some students can do poorly in gross anatomy questions, although perform well overall and still progress and graduate from their degree. This does appear to be a major problem in the knowledge of graduates, although it is also important to realise, that without adequate understanding of function, disease processes, pharmacology and drug prescription, there is no point in merely knowing human structure. Junior medical officers would be at much greater risk at putting themselves and their patients at danger. But what does this all mean for graduates? As a fifth year medical student, I still have thousands of hours of study remaining till I graduate from my six year degree and to be honest, I am not sure where most of my current knowledge will eventually take me after graduation and internship. I also realise that if I intend to become a surgeon, there will be much more detailed knowledge expected from me in all the basic science disciplines, especially anatomy. It is clearly evident that for most contemporary post-graduates entering into training programmes, they will not have sufficient anatomical knowledge to practice in a surgical specialty. Additionally, with increasing numbers of medical students it has become difficult for logistical reasons to have career anatomists, retiring surgeons or surgical registrars teaching gross anatomy to hundreds of students and dissection of cadavers for teaching is virtually unheard of. The focus now seems to have shifted towards the introduction of graduate diplomas and master’s degrees in surgical anatomy delivered by Australian and New Zealand universities for those interested in surgical specialties. This does seem to be a suitable method of filtering graduates with a greater interest in anatomy and favouring those with a photographic memory for rote learning and remembering millions of small anatomical details; skills which are suitable for proceduralist practice. However, at the university level, teaching methods are also being revised and recently, the University of Sydney have started an anatomy dissection course as an elective, which was greeted with positive enthusiasm by students. Re-introduction of dissection may prove useful for students to gain beneficial hands-on anatomical knowledge rather than rote learning structures from anatomy picture atlases. However, this would prove difficult, as it is extremely resource intensive and difficult at some universities with low ratios of experienced anatomy tutors to students. Further studies and debate is warranted to compare older teaching methods with current methods and to assess for a standardised national teaching curriculum in conjunction with, or replacing medical school assessment. With the boom in numbers of medical students in recent years, this is becoming increasingly important to ensure the maximal effectiveness of student teaching in the basic sciences. This will hopefully boost student confidence and application of knowledge that will be essential for future junior medical practitioners. 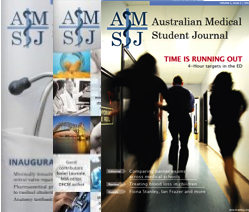 Craig S, Tait N, Boers D, McAndrew D. Review of anatomy education in Australian and New Zealand medical schools. ANZ J Surg 2010;80(4):212-6. Schiller M, Lucewicz A, Yang T. National standards in medical education. AMSJ 2011;2(1):10-1. Smith JA. Can anatomy teaching make a comeback? ANZ J Surg 2005;75(3):93. Linacre J. Wither anatomy teaching? : a student perspective. ANZ J Surg 2005;75(3):96-7.